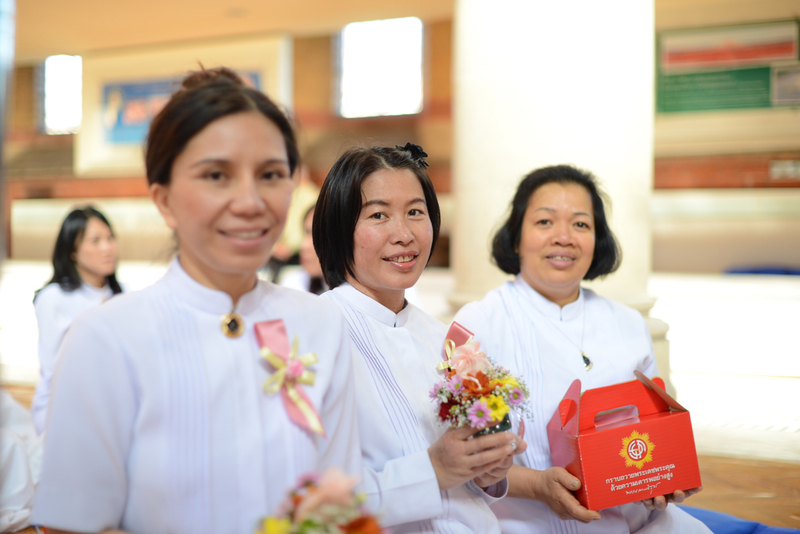 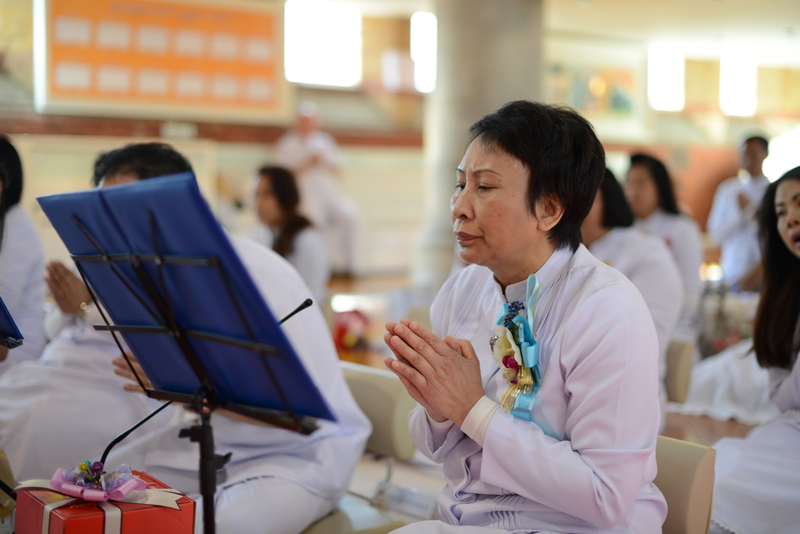 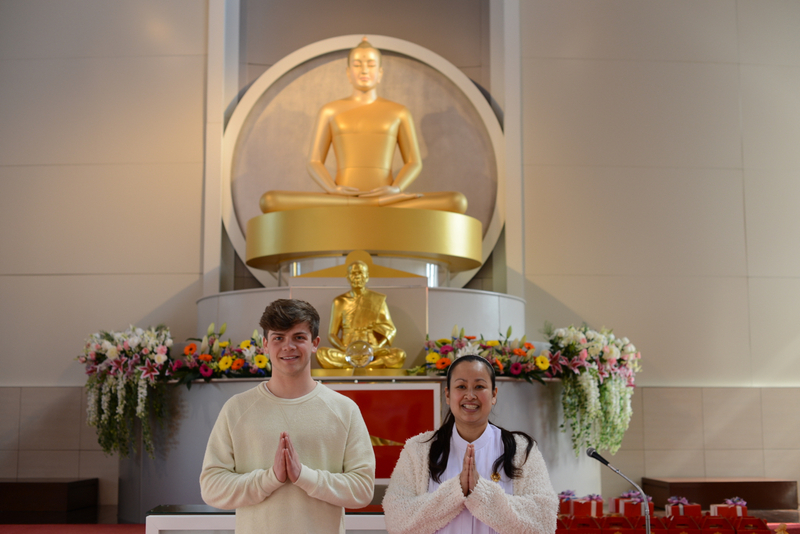 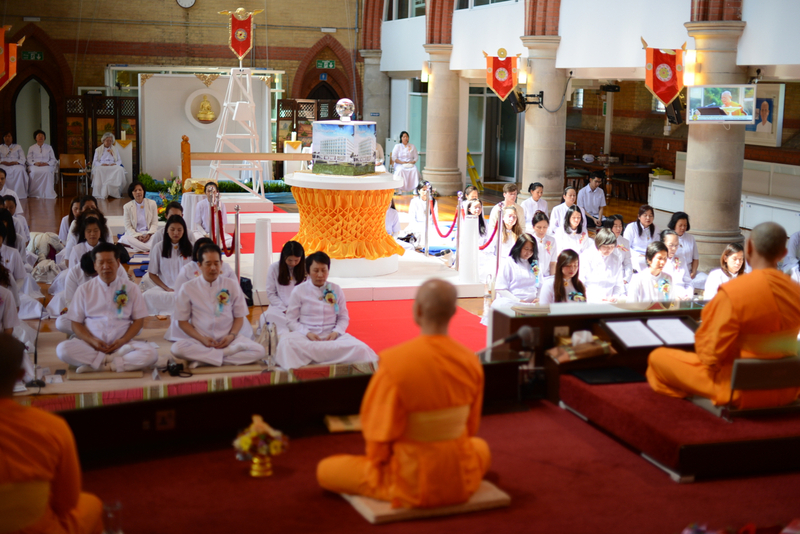 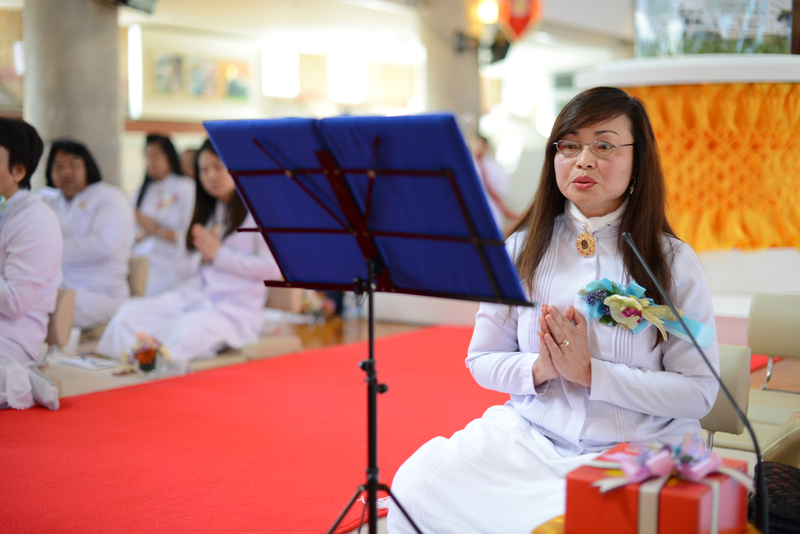 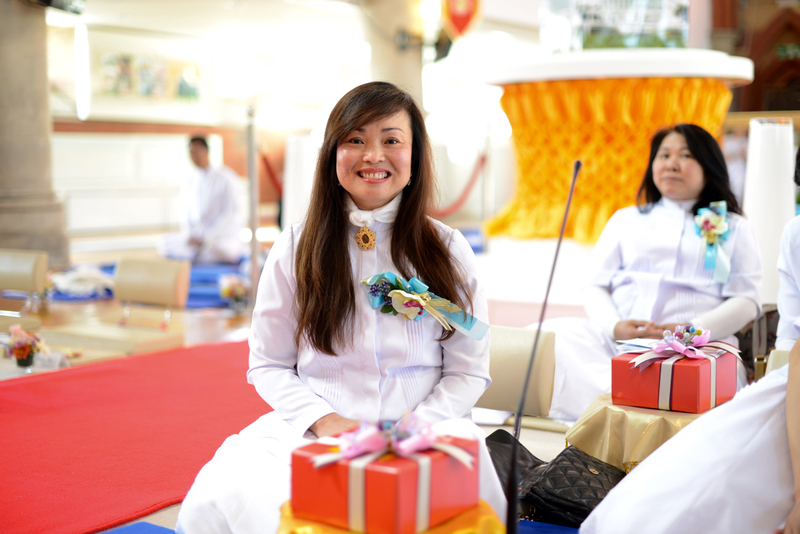 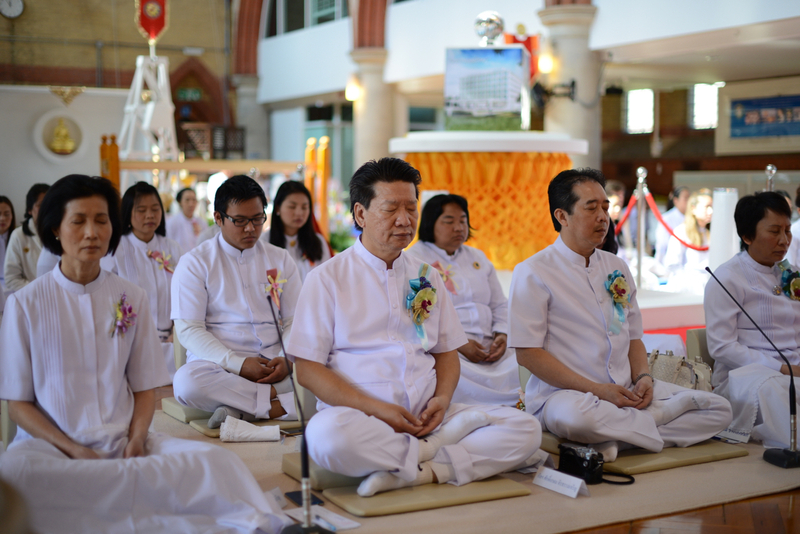 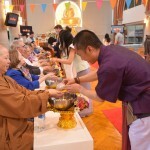 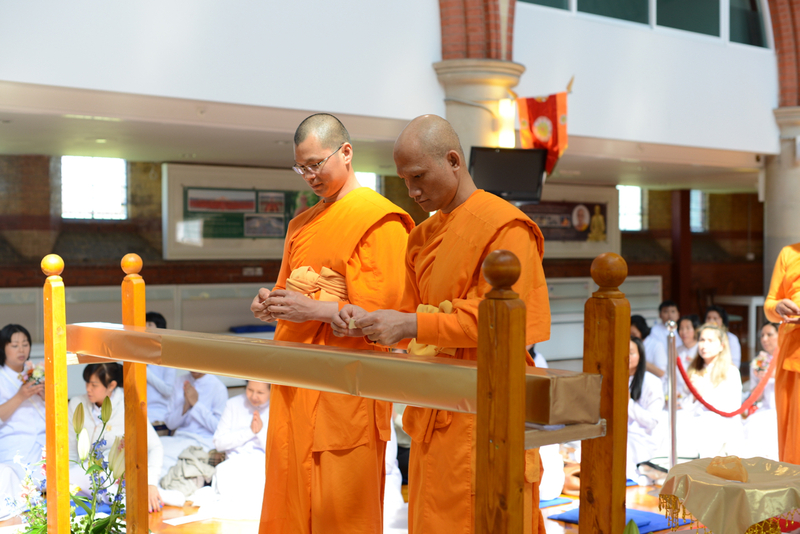 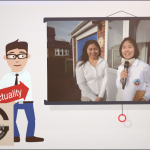 On 22nd April 2015, many Thai and International community arriver at Wat Phra Dhammakaya London in Woking to celebrate Earth Day and the birthday of Phrathepyanmahamuni, the abbot of Wat Phra Dhammakaya, Thailand. 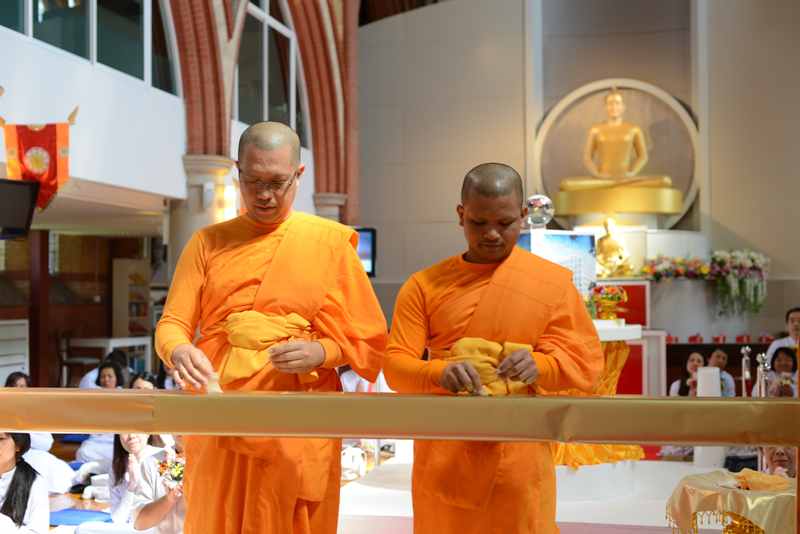 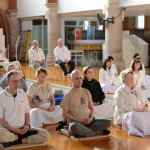 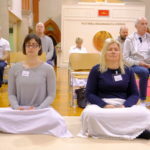 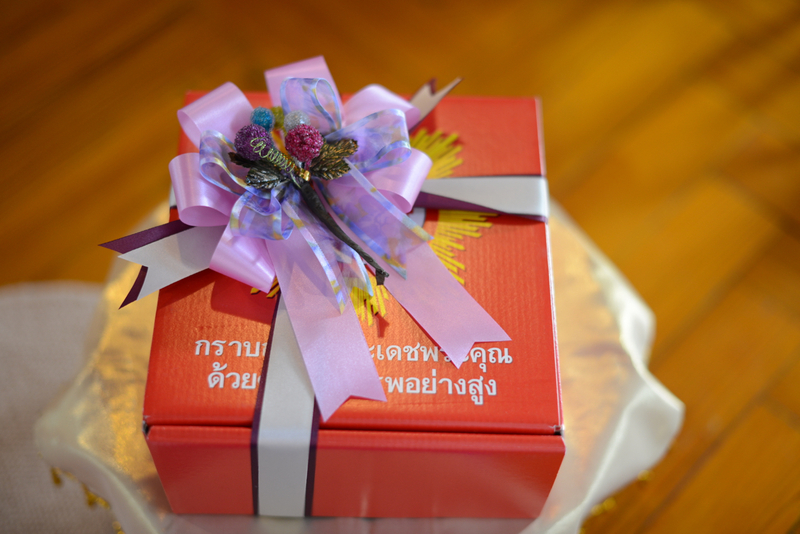 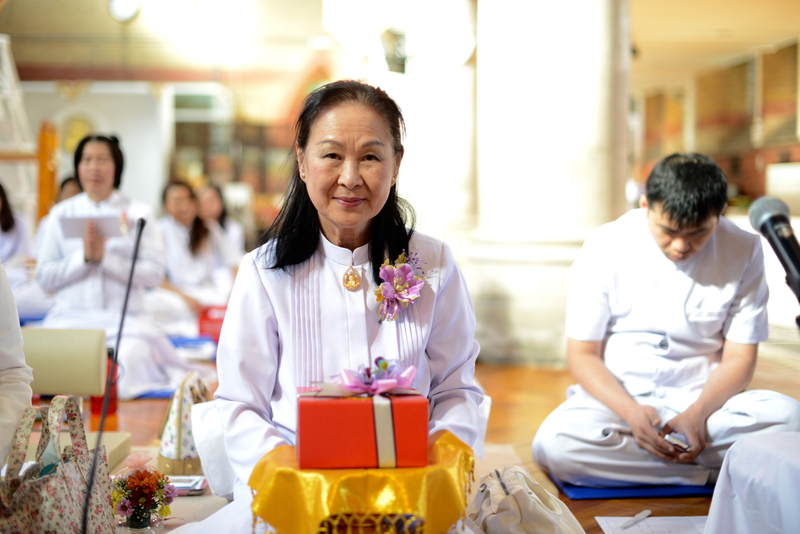 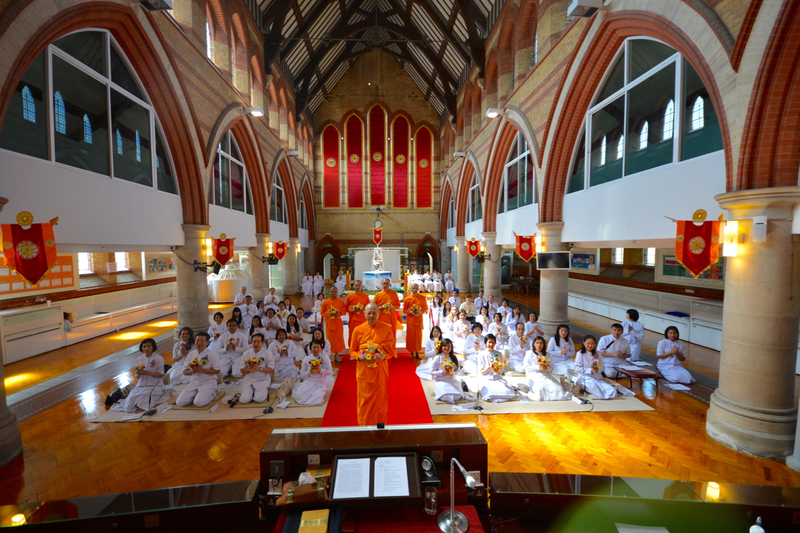 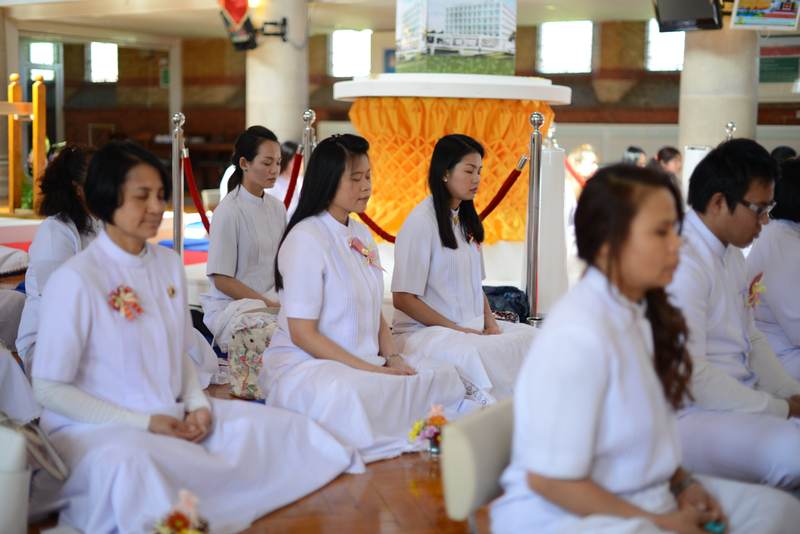 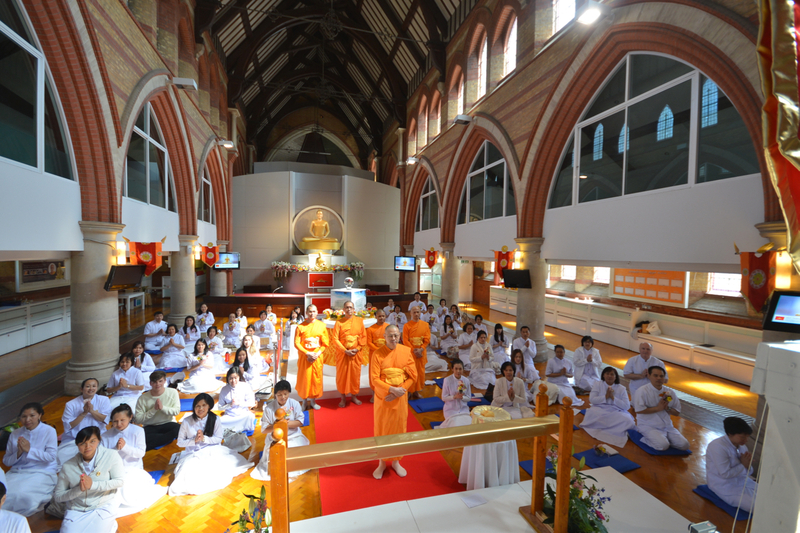 The morning started off with meditation, followed by “Sangha Dana” offering to 30,000 Wats/Temples in Thailand. 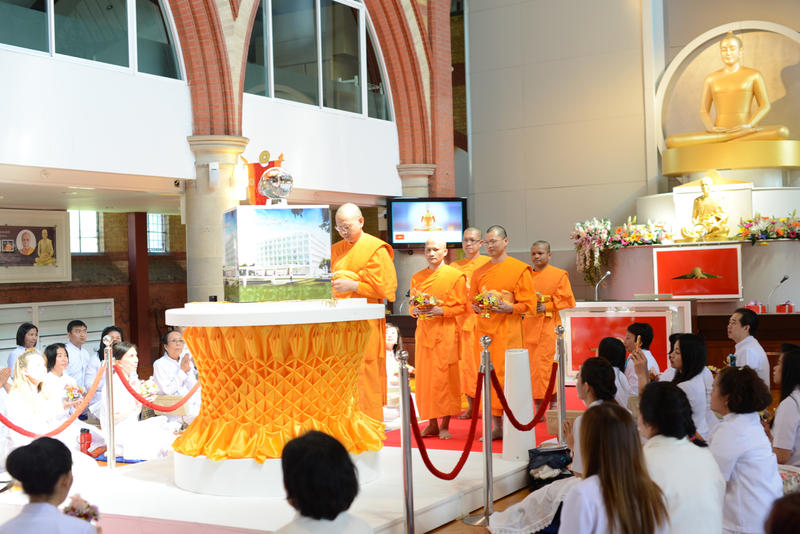 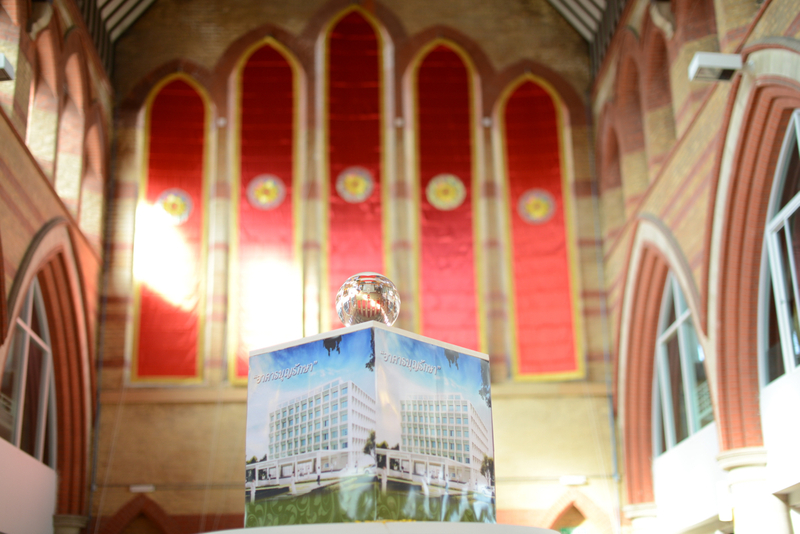 After a shot brake, we joined worldwide congregation through DMC satellite channel from Thailand when they witness the building of “Boonraksa” building, which will become the medical centre for the monastic community. 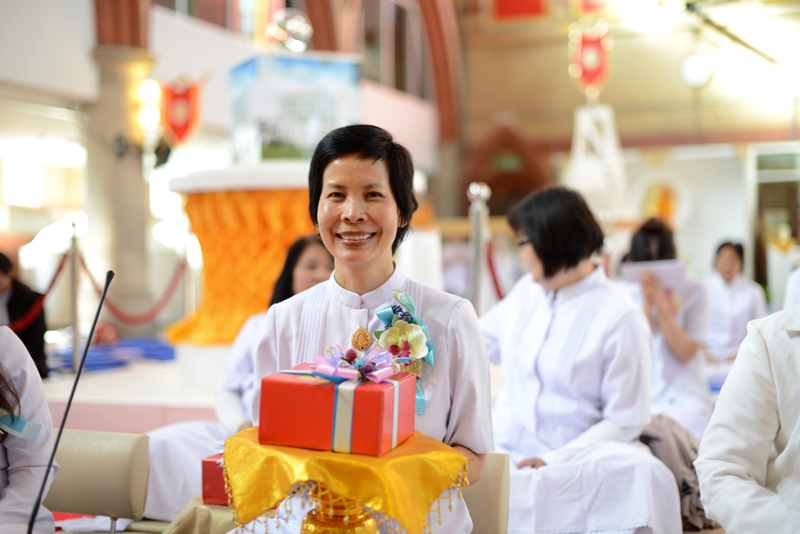 Leader of St. Johns Woman Institute with 23 members visited temple.